NAS and SAN both provide network storage for business and choosing one over the other isn’t as simple as it seems. NAS vs SAN is a discussion that comes up a lot and often baffles users. Along these lines, the blog explains the difference between NAS & SAN Storage. data can be stored and is readily available. Both NAS and SAN provides network storage solutions for business. However, they may seem similar at first yet differ a lot. NAS (Network Attached Storage): NAS is a file-level computer storage connected to a network that provides access to a centralised location. NAS storage device operates on data files. SAN (Storage Area Network): SAN is a dedicated network that interconnects multiple users to access block level data storage. SAN is a local network of multiple devices. How input/output requests are conducted i.e. SCSI, CIFS, NFS, etc. Definition NAS storage is based on Transmission Control Protocol/Internet Protocol (TCP/IP) and uses file system SAN uses Fibre Channel (FC), it is a high-speed network of storage devices connected with servers. The usage of NAS and SAN architecture depend on the requirements and system format. For instance, NAS is primarily used for long distance read/write operations, on the other hand, SAN is used for higher performance block level data storage. Furthermore, with the rapid advancement in data storage technology, there is a greater demand for flexibility, performance, and scalability which both the network storage systems are capable enough to deliver. Sapna is a technical blogger and has been writing since 3 years. She is into technology and writes tech-based stuff. Her aims to provide knowledge to simple users by sharing tips and tricks about new technologies, DIY and Data Recovery Services. How to Fix SMART Hard Disk Error Code 301? What Does Your Device Need – An SD Card, Memory Card or Pen Drive? Hurrah, that’s what I was looking for, what a useful read! thanks, admin of this site. Thanks for finding it useful. This is a useful article regarding this topic. 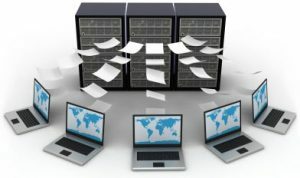 In NAS, we can backup data from multiple computers. In SAS, we can interconnect multiple users. NAS is really very helpful for small industry.